There are a number of mosques in the Indian sub-continent but only a few is recognized by the people as the epitome of architectural marvel and a true requiem of religious sentiments. One of the largest mosques in India is Jama Masjid. 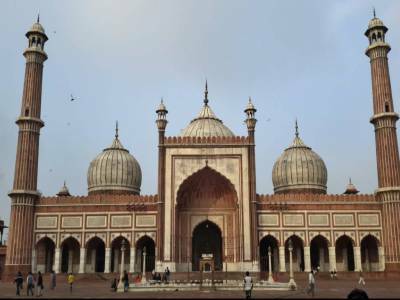 The courtyard of the Mosque can accommodate approximately 25,000 - 30,000 worshippers at a time and is located at the heart of the Indian Capital, the historic city of Delhi. The Jama Masjid is the premier mosque for the whole Muslim fraternity in India. The declarations of religious dates and events are announced by the head of this pious establishment. 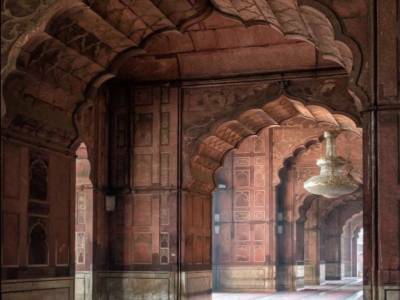 The history behind the construction of Jama Masjid is very intriguing and exquisite. The full name of Jama Masjid is Masjid-I Jahan Numa which means the mosque that reflects the picture of the entire world. 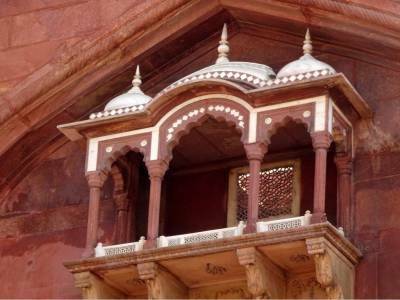 This was built by the Mughal Emperor Shah Jahan in the year 1656 CE. What makes the mosque even greater is the art and sculpture that was used to erect this holy sanctuary. The massive mosque was built with imported marbles and sandstones. This huge dome with minarets generously lay out humble prayer carpet for any and every devotee. 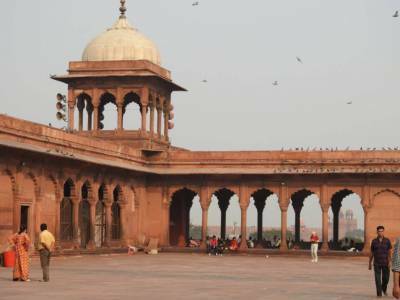 As a part of tourism, Jama Masjid is one of the most scared and most loved sightseeing spots in Delhi. Jama Masjid which stands hardly 500 meters away from the Red Fort is a beautiful representation of Islamic architectural style, also a mixture of cultural styles, both Muslim and Hindu. Note: That as with all mosques, modest dress is required. Men in shorts are provided material to tie around their waist to cover up. All females (regardless of how they are dressed) are provided complimentary gowns at the gate, which must be worn during the visit. All visitors must remove their footwear before entering the mosque. Entrance to the Jama Masjid is free of cost, but if you visit on top of Minar or minarets that the charge is 30 INR per person. 300 INR, to get the camera inside. 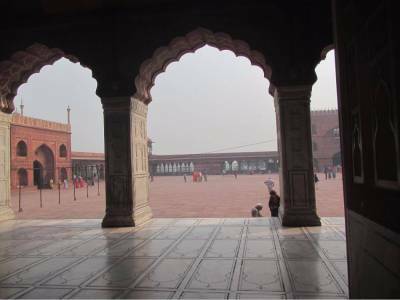 Get quick answers from travelers who visit to Jama Masjid.